With the need for talented leaders at every level of the organization increasing with the velocity of today’s business environment, it s critical to have every leader personally equipped for peak performance. Our seasoned coaches bring years of practical experience, tools, and techniques to impact the performance of leaders throughout your organization. Today’s leaders are expected to produce more work in less time, with fewer resources, and at higher standards of quality. Yet, the majority of leaders continue to be promoted into positions of greater authority with little or no preparation for leading others, managing against expectations or new behaviors necessary to succeed in management circles. Once available only to executives, coaching is now offered as an investment in the long-term success of the organization and individual leaders at various levels in the organization. Coaches offer performance-based guidance and accountability not duplicated in the corporate environment. Our Individualized Leadership Coaching is targeted to high potential performers who need an added advantage to take their careers and abilities to the next level. 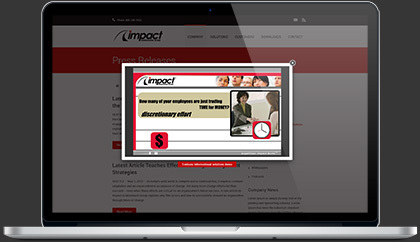 It can also be targeted to individuals with interpersonal or performance challenges. 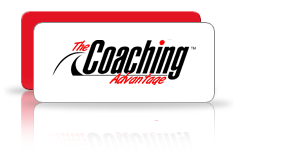 Our seasoned coaches bring years of practical experience, tools, and techniques to impact the performance of leaders throughout your organization – from high performance managers whose styles impede their performance or promotability, to newly hired or promoted managers wanting to jump start their success with a coach well-versed at aligning teams and managing others. "Your message was an inspiration to those fortunate enough to be in your audience. The comments from participants and the evaluation forms clearly demonstrate this."